Its been a month plus since DinoBoy's last art lesson and well... I'm missing it and I am sure DinoBoy misses it too. He's been very upset that I stopped his lesson for a term. Occasionally he will ask me when is he going back for some lessons. Well, its going to be a new term soon so we will be back in no time! In the mean time, I am looking at the last master piece he did during his last weeks in HeART Studio, learning to draw shoes. In his little book of techniques, Teacher Gaz introduce him to shoes, a simple item we wear every day but never really take a good look at it. 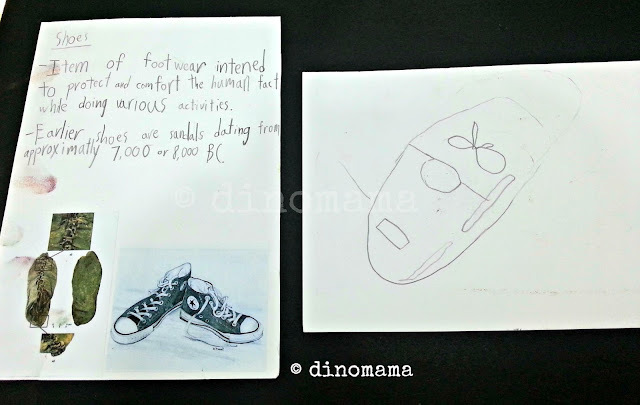 They had a little discussion about it and he tried to draw a shoe from a photo, which does not look anything near to it. Of course, under Teacher Gaz's guidance who taught DinoBoy to observe the photo carefully and try again. He also taught him the tints & shading techniques which he used it on the next draft he drew. 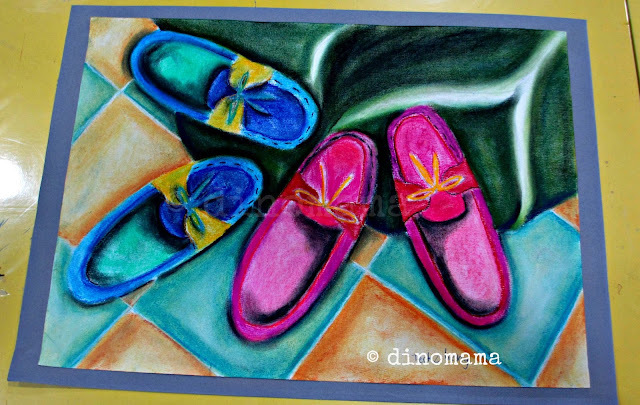 And he moved to the real thing, drawing shoe then filling them with colors, shades, tints and every thing. After 3-4 lessons he finally finished his piece of art, beautiful as usual! 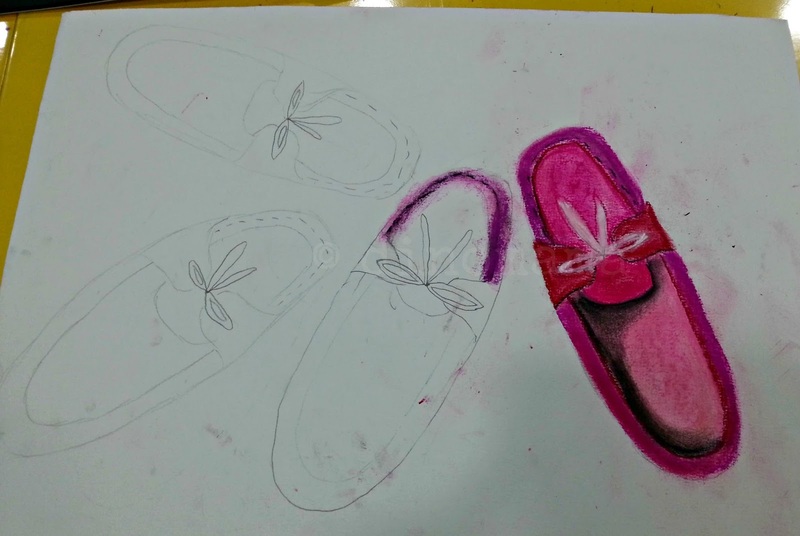 Look at the transformation from a loaf of bread lookalike shoe to loafers with details and different tones of shading. 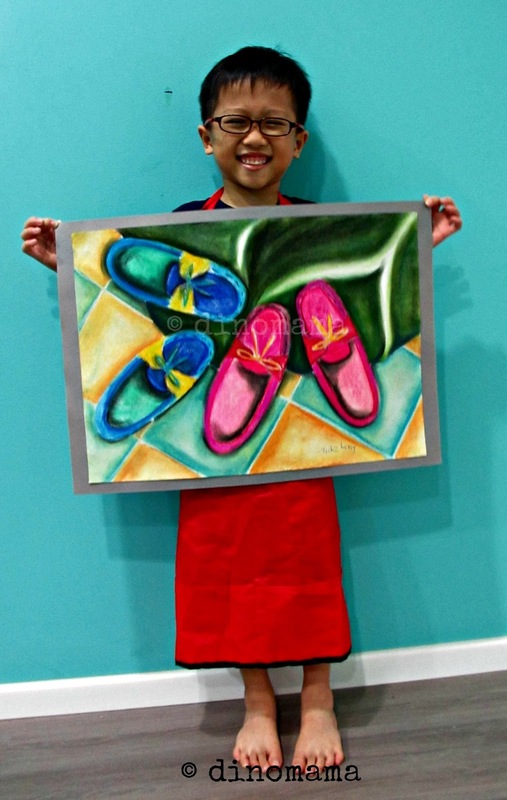 I love the vibrant colors he choose for the shoes. And of course the great artist who is very satisfied with his work. Yes, we are going back to the art lessons soon! Wow, so much difference. Shows how much more details went into it after observing and applying the right techniques. Another great piece Z!